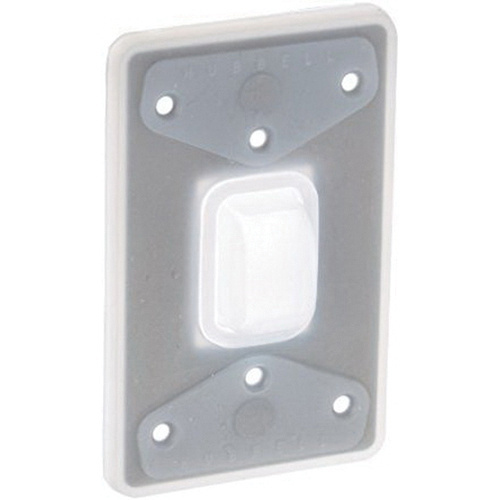 Hubbell-Wiring Weather-proof bubble plate in clear color, features silicone rubber construction. Rectangle bubble plate measures 2.94-Inch x 4.63-Inch. FS/FD Box mountable bubble plate is suitable for use with toggle switches. It is IP55 moisture rated. Bubble plate is UL listed.